Are you a trainer or coach who is struggling with the grind of working split shifts, living paycheck to paycheck, and not having control of your time? If you are, I am here to tell you there is another option – you can own your own gym! Owning your own business is hard and you’ll make mistakes – I sure have – but deciding to open my own gym is the best decision I could have made because I am now in control of my time, my finances and my future. I opened my first gym in 2015 and within just 5 months of being open, my gym was generating a profit. Over the past three years, I’ve tested different marketing techniques, demographic targets, and retention strategies to continue to grow my business and have developed a formula to make small gyms financially successful. 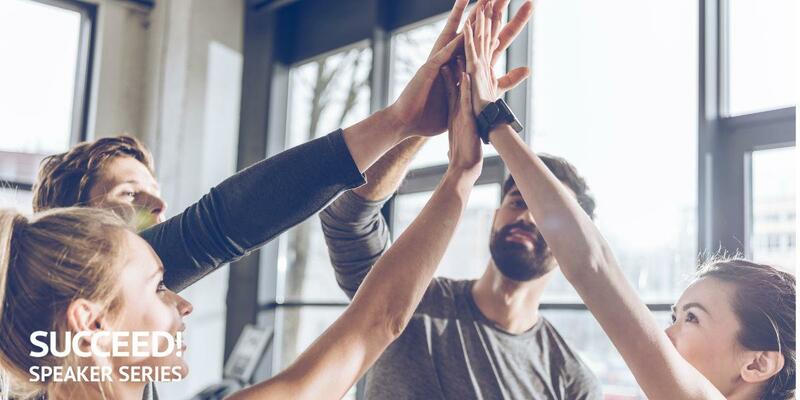 I now mentor new gym owners and use this formula to determine what their weak link is and to create an action plan to maximize their revenue potential. I’ve found that the two most important parts in the sales process of converting trials into memberships are to make sure your first meeting with a trial member is a good one – so have consultation program in place – and have quality, scripted content for contacting trial members during the trial period. First, you need to get people in the door to try your gym out – the best way to do that is to offer - a 15- or 30-day trial membership. Most training gyms should have the goal to generate 30-40 leads a month and convert 20 of those leads into paid trials. I’ve learned that the best way to generate leads are through client referrals and social media marketing. Once you’ve signed the 20 trials memberships for the month, you need to convert those trials into regular memberships. Your goal should be to convert 12 of those trials, so 60%, into regular monthly memberships. At my gym, we only offer 12-month memberships and month to month memberships. I’ve found that the two most important parts in the sales process of converting trials into memberships are to make sure your first meeting with a trial member is a good one – so have consultation program in place – and have quality, scripted content for contacting trial members during the trial period. If your target market is the 40-65+ year old demographic, you’ll want to focus on small group training and/or in some cases 1:1 training membership. It’s important when you are designing your membership packages and target markets to have a goal for what you’d like your average client to pay on a monthly basis. Our goal for an average client is $300/month. Programming is the lifeblood of your gym – it is what makes your gym different than the rest. Programming must be scalable and repeatable between different coaches (in our semi-private training model, our members are always working with different coaches) and your coaches must be good at adapting the program to each client. This ensures you’re delivering a consistent product. At my gym, we’ve recently begun using a template system to create programs for the majority of our clients and then have our coaches individualize the template for the client (a key component if you implement this into your facility). The template model eliminates the need to write individual programs and is much more scalable and time efficient. Post special offers, invitations to events and fit tips in a members-only closed Facebook group 3x a week. Result: If sign up 12 new clients a month at an average of $300 per client and you lose 3 clients a month you should be able to net $2700 in growth a month. By examining all of these steps and measuring against your current numbers, you can figure out where the weak link is and determine if you have a marketing problem, sales problem, or retention problem? That allows you to put together a game plan to address that area. Join Dan in his session at SUCCEED! AFS' Annual Business Convention & Expo (April 12-14, 2019 in Irvine, CA) and learn to generate more leads, how to get more people through your door and most importantly - get them to convert! 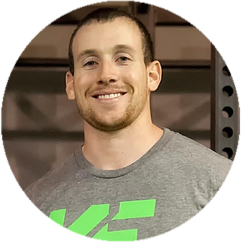 Dan Kleckner is the owner of Kutting Edge Fitness in Kirkland, Washington and Kinetic Fitness in Butte, Montana – two start-up training gyms. He has worked in the health and fitness field for 15 years and holds a B.S. in Applied Health Science from Montana Tech University, where he was also a collegiate athlete. He's a Certified Exercise Physiologist through the American College of Sports Medicine and a level 2 Titleist Performance Institute Golf Fitness Professional. He has been mentored by some of the top golf fitness and fitness business professionals in the country including Thomas Plummer, Rick Mayo, Frank Nash and Jason Glass. He now mentors several start-up gym owners himself. Dan is a well-respected speaker in the greater Northwest and is considered an expert on the business of start-up gyms, improving strength/power for golf and other rotational sports, and small group training.